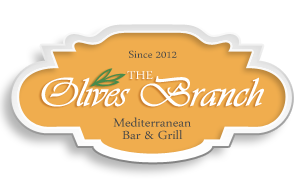 The Olives Branch is where fresh, healthy Mediterranean food is prepared. The word "fresh and healthy" isn't thrown around lightly at The Olives Branch. Each of the many entrees, sandwiches, salads, dips, and sauces are all made from scratch with the freshest, high quality ingredients every day. Copyright © 2018 The Olives Branch. All rights reserved.